Hey there! Thanks for dropping by Circling the Globe with the Mulkeens! Take a look around and grab the RSS feed to stay updated. See you around! So after taking the summer off from travel, besides a couple business trips to the Ukraine (new country for me) and Germany, we decided to crank it up again. We ended up not going to South America for unrelated reasons to regular travel, but we’ll make it back down there next year. I found some great fares to Iceland for this past weekend, so decided to jump on them since it’s a country we’ve wanted to visit since 2008! 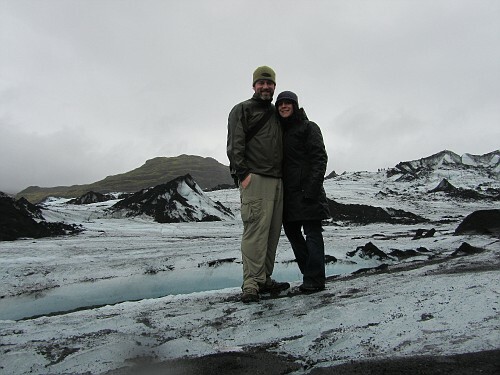 We hit the road Thursday, hopped on our IcelandAir flight, and off to Keflavik Airport we went. We land and go grab the rental car, which was the smallest 4×4 I’ve ever seen, and if the wind had been stronger than the 30 MPH winds that we had while there, I think we would’ve been on our side. We held up, and the car was a trooper for the 3 days that we were there. 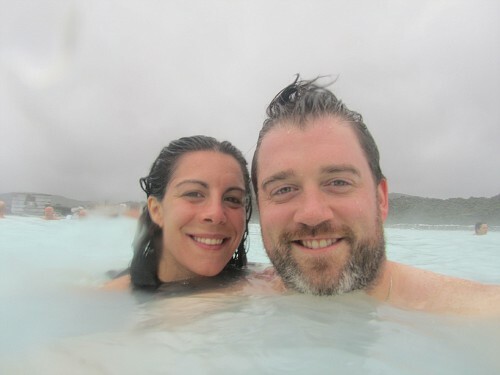 Our first stop was the Blue Lagoon, which is an infamous geothermal pool, which is fed from the runoff of the plant next door. They actually pump fresh water in every 40 hours! This place is nothing short of incredible, and was perfect for a cold (40 degrees) and rainy day! We paid our fees, grabbed our towels, and headed out. WOW IT IS DAMN COLD…until you get in, then it’s perfect! I’m not exactly sure how big it is, but I’m sure it could fit a few thousand people if it was packed. We floated around for a while before grabbing a few drinks, which only seems normal. Hanging outside in 40 degree weather, in a geothermal pool, with silica all over your face, drinking a beer. Yep, seems pretty normal to me. They also have a few steam showers, saunas & waterfalls that are pretty soothing. The majority of the people there we noticed were Norwegian, or Americans who were on layovers over to Europe. All in all, it was pretty amazing, and a great kickoff to the trip. We moved on from there, to only be handed a bill for about a million Icelandic Kroner! Well, not that high exactly, but the conversion rate is about 160/1, so even a €100 bill seems like it’s ridiculous, but whatever. So we hit the road to downtown Reykjavik, and checked into Hotel Reykjavik Centrum. The pad was pretty centrally located, not that the downtown area is that big, but it was nice not to drive to anything. After checking in, got a reco for a restaurant that night, which was a local’s joint, and was exactly what I was expecting. A little whale, steak & sashimi style, and some puffin. Yes, some readers might be against dining like this, but let me tell you, OUTSTANDING! I’ll leave it at that. Our first full day we wanted to complete the Golden Circle, and it typical fashion, we finished it in about half the time or normal travelers. 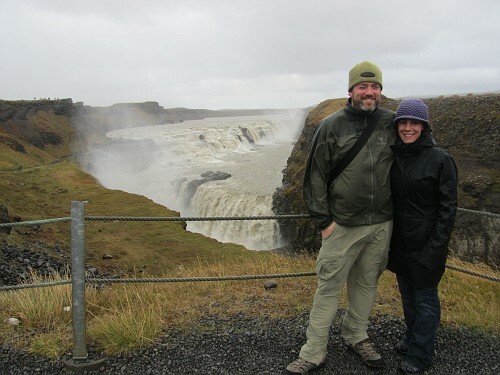 We drove through Þingvellir National Park, stood in front of Strokkur and Geysir, and heard the thunderous noise while getting soaked at Gulfoss. 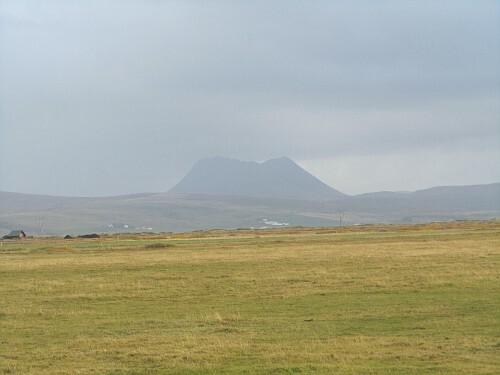 The landscape of this country is incredible, as are the weather patterns. I wouldn’t say it was the most perfect day weather wise, but I don’t think they really have them in Iceland, so that’s ok. We drove around for a bit as well, and actually stopped to check out Kerið, a volcanic crater. I guess Bjork actually performed on a raft in the middle of this crater at one time, and the fans sat on the hills that surrounded it. Since we had some daylight left, we headed back to town so we could walk around and get our bearings. We walked up the main drag to see the unique shops and cafes, only to end up at the top, where the infamous Hallgrímskirkja Lutheran Church sits, with a large statue of Leifur Eiríksson in front. Of course we were 5 minutes late to get inside and go to the top for the best view of the city, but we can’t do it all, even if we think we can. Ultimately, we headed back to hotel, had another great dinner, and crashed for the night. Day 3, we wanted to see everything on the southern coast that we could. 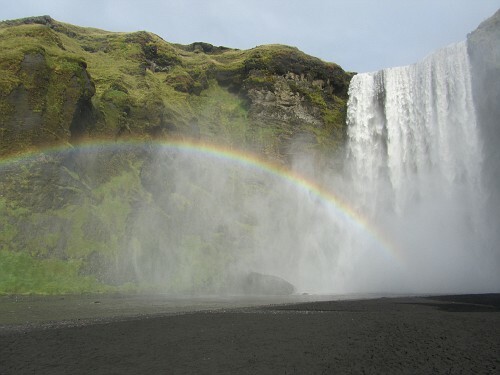 We saw a couple of waterfalls, Seljandfoss and Skogafoss, as well as driving by the volcano that interrupted travel for a week, Eyjafjallajokull. We drove all the way to a small town called Vik, which I think is the largest town in the southern part of the country. We hung out for a bit to see the view and the cliffs that reminded me of the Cliffs of Moher in Ireland. On our way back, we decided to go off road a bit, and check out the main glacier in the area, Mýrdalsjökull. Walking up to it really felt like being on the moon….If being on the moon is what I imagine it would be. Afterwards, we headed back to town again, and hit up the restaurant that was supposedly the new trendy spot to hit in the whole country, and it didn’t disappoint. A quick synopsis would be 10 courses, all different Icelandic food, with wasabi somehow incorporated. Yes, fantastic! Iceland will definitely be a country that we’ll revisit and hopefully do the northern part of the country on our return and the more remote areas. It was great to finally get there and see all the sights that we’ve only salivated over for years through pictures. I’m not sure yet where our next destination will be, but 2012 I think will be our busiest year yet, with about 20 countries on the docket, if not more. My goal was to hit 50 countries before we slowed down a bit, and then I put it up at 75, but I really think by the end of 2013, and with our current home in Amsterdam, that we can see half the countries in the world, which right now would take us up towards 100 almost. So quite a bit of work in front of us seeing we aren’t even halfway there, but we’ll do it. 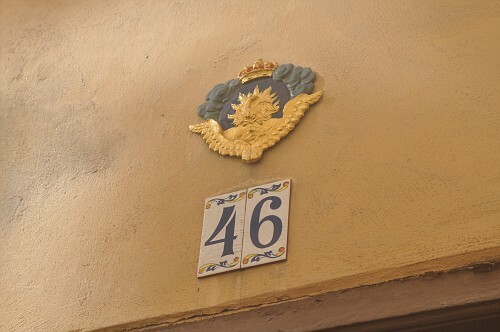 Hey, let’s go to Gamla Stan…Tack! Day 3 came about in Stockholm, and we hadn’t been to the “tourist” part of the city yet, which was nice, but of course we wanted to pick something up that would remind of Sweden once we were home. 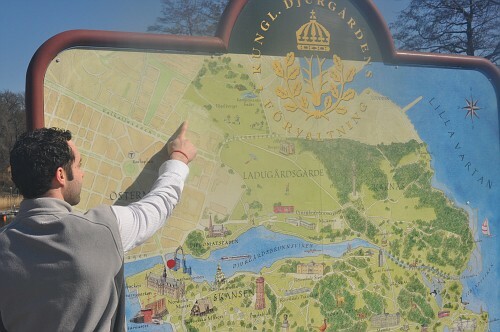 The tourist area is called Gamla Stan, and is pretty much it’s own island in the city (there are many islands that Stockholm is comprised of). The Royal Palace is there, a tiny, and I mean tiny, famous statue called Iron Boy, and the main pedestrian walking streets with all the shopping. Nick had to work, so we had the day to ourselves to conquer the rest of the city. We took the subway, just so we wouldn’t start off the morning getting lost, like so many days on this trip. I admit, it’s always thanks to me :). The subway system in Stockholm is pretty good, and quite easy to get around, but as Nick pointed out, it’s automated. That’s great, but the drivers don’t remember that and tend to stop and go very abruptly and throw passengers all over the cars. It’s actually pretty funny, but anyway. We walked around for a while and did the Rick Steve’s walking tour of Gamalstan. And wouldn’t you know it, he had it mislabeled…all over the place. Safe to say, we lost a little faith in the Rick Steve’s collection of books during this visit to Europe, and have now given favor to Fodor’s books. I could write a long post about why, but who cares. 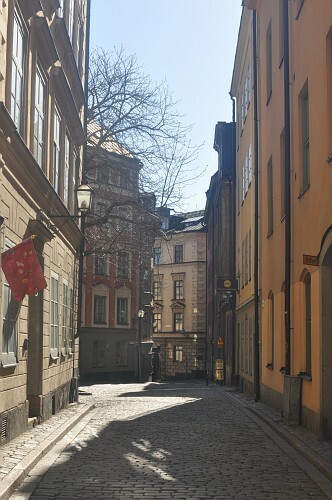 Gamalstan is very nice, and of course the weather was killer, so everyone was out and about. The shopping streets were jam packed, and the restaurants started filling up early, but again it was nice to see so many people out enjoying the city. I had three souvenirs I wanted to find while in Stockholm. 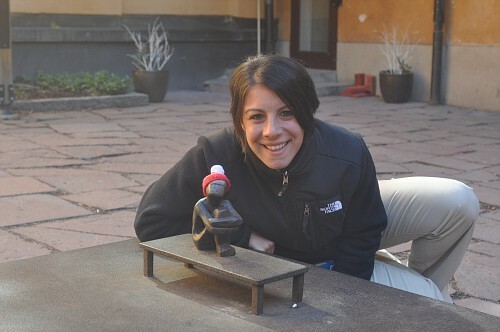 A winter hat in the colors of the Swedish flag, a mini Iron Boy statue, and a picture frame that would remind you of Stockholm. Well, we went……………….0 for 3!! 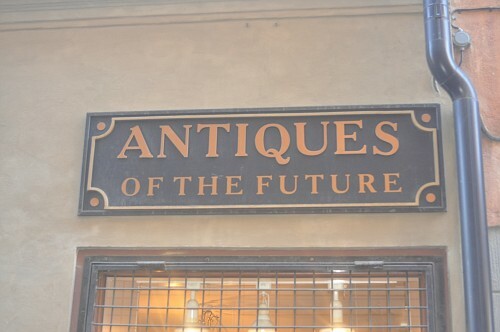 We must have went in 30 souvenir shops, and none of them had any of this. We finally found a frame, but it was nothing special. We have decided to open an online souvenir shop with simple stuff that all people would have an interest in, like picture frames. They just don’t seem to be a European thing, as we didn’t see them in quantity in any of the cities we were in, but oh well. Getting back to Iron Boy. This statue is something else. We followed the instructions to get to it, and then couldn’t find it, but knew we were in the right courtyard. I looked all over, Annemarie as well. Then I spotted a speck of red, and got closer and saw that it as a winter cap on Iron Boys’ head. If there wasn’t a hat on this thing, not sure I would have ever spotted in, and this courtyard was not big at all. Annemarie pointed out that it’s the first statue that she is bigger than, and now holds a place in her heart. Again, we were the only people in the vicinity, so we took some shots with this show stopper of a statue. Hopefully, you will find the humor in this like we did. After we were done sightseeing for the day, we met Nick back at the apartment before heading off to dinner at a place called Vapiano’s. It’s a cool concept, as there is no wait staff, and it’s self serve, but it’s very nice and not like a Country Buffet. You are handed a debit card as you walk in, and all your drinks and dinner are put on it, and then you pay individually as you leave. It’s like Food Life for those that have been, but they serve beer, and the food is much better, and the atmosphere is more like a nice lounge, and less like Disney World. It was a nice place to wind down and end the day, and our experience in Stockholm. At dinner I had realized that we completely forgot to go see the Vasa Museum while in Stockholm. Now, we don’t like museums per se, but this was an old ship they pulled up and is nearly intact after a couple hundred years. 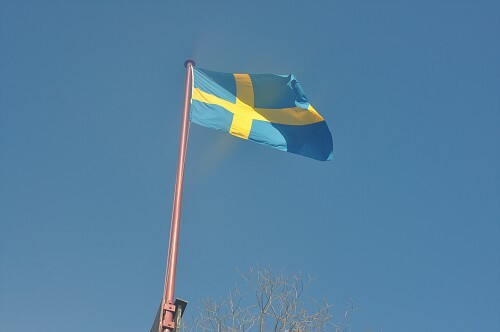 We also talked about for the first two days in Sweden. Yup, we forgot to go see it, oh well. I’ll recap our trip in a few days once this is all sunk in. It was a hell of a ride, and only made us realize that we really want to travel a lot more before we settle down. We are already thinking about another trip this summer, but we’ll see. We left Copenhagen on a high…high speed train that is. We took the XJ2000 train up to Stockholm. It was about a 5 hour journey through the southern countryside of Sweden. Was there much to see? Uh, that would be a no. There is not much in southern Sweden at all, but it was nice not to have to sit at an airport for a few hours, then travel, go through immigration, etc. The train had food, free WiFi, big seats, and moved at 100 mph, so I was pretty impressed. 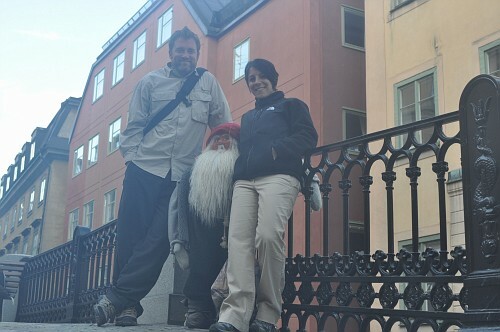 We finally got to Stockholm around 9:30, and looked for our host Nick. Luckily, we spotted him walking around after about 10 minutes, as the train station in Stockholm is pretty big. We headed home, luckily again, since Nick had enjoyed a few libations before meeting us, and wasn’t 100% sure of what direction we were going. In the end, we found our way back to his pad and crashed out for the night. 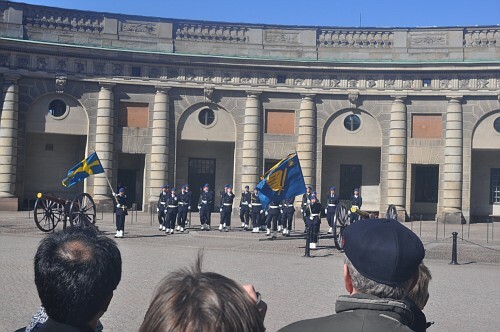 We hit the city the next day and had the best weather day Stockholm has seen in about 6 months. Safe to say, every single person in the city was outside enjoying the weather, cafe’s were packed, bars were boisterous. It always makes a city more inviting when everyone is out enjoying it I think. Stockholm is on quite a few islands all connected together by bridges and subways, and the city is pretty easy to get around. 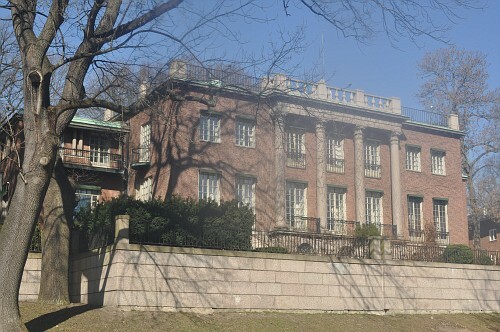 When the weather is nice, there really isn’t any place in the city that isn’t within walking distance. Along with that, there is no “skyline” in this city, which again was nice, and made the city feel more like a village. We immediatley liked it, as it reminded us of Copenhagen and Amsterdam. We honestly liked all of the Nordic countries we visited. We had heard that Nick was throwing a little get together on Saturday night to force all the local friends he had to talk to us. Just kidding man. He had a bunch of his friends over, who were all from Sweden, and we chatted with them and then tried to interpret some things they were saying in Swedish…to no avail, it’s a unique language. Seems like all of them had spent some time in the States, and their English was incredible. The fact that Americans aren’t taught a foreign language from a very young age is too bad, yet everyone around the world feels like they should know our language. Anyway, it was interesting to learn a little more about their upbringing in Sweden, and one guy even talked cars with me, which was great, as I’m a car nut. He had almost the same car I do, so we were just comparing notes, almost felt like home…until he went off on a tangent in Swedish, and I was lost again. We headed off to the bar, which actually was the second level of a local Scandic hotel, and was pretty nice. Taxes in Sweden are crazy, and when you order a mixed drink, there is a tax put on each individual liquor in the drink. So for example, a long island iced tea, which I never order, is about a $40 drink in Stockholm, since there is a 25% tax put on each of the 10 liquors in the drink, it’s pretty crazy. Safe to say, most drink beer, wine, or something on the rocks to save on the budget a bit. It’s also quite the fashion scene, and every girl in Stockholm seems to wear a skirt no matter what time of year it is. We closed down the bar, and of course wanted to get some late night food. We figured most would go for hot dogs, which are popular here just like in Copenhagen, but that’s not where we went. Pizza? no. Sandwiches? no. The most popular stop for late night food in Stockholm is………..McDonalds!! I almost fell over when I saw the lines inside the place, it was disgusting but at the same time hilarious. This place is one of the sole reasons McDonald’s is still in business in my belief, the traffic going through this place was unbelievable…and quite a way to end the night. Stockholm day 3 up next! Yes, we got the visas…..and used them in Russia! The final piece of the continental micro-countries…Andorra! The last piece of the Nordics is complete….and it’s Norway! Second time’s a charm….we made it to Portugal! Time to go back to Africa…hello Morocco! Another pin on the wall…Monaco in the rear view! No it’s not Siberia…we went to Serbia! 2012 begins with a bang…enjoyable Slovenia!